We will be open for wine tasting from noon to 5 pm on both January 25 and 26. We hope that you will come and celebrate a new year of wine tasting with us! You will be able to taste a selection of our wines, including Santa Cruz Mountains Cabernet, Santa Cruz Mountains Chardonnay, Carneros Merlot, Santa Clara Valley Syrah, and a delicious late harvest Merlot. 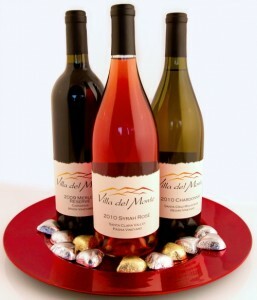 Plan now to visit the winery and pick up supplies for a special Valentine’s Day! You can also sign up for our wine club, if you want, as the next wine club shipment is scheduled for April.